MUNICH (Bloomberg) -- Mercedes-Benz was the world’s best-selling luxury car brand for the third consecutive month in September, surpassing BMW and Audi as demand for coupelike SUVs helped its sales grow twice as fast as at either competitor. Deliveries at the Daimler AG luxury unit rose 16 percent to 188,400 cars last month, compared with 180,500 BMW-brand autos and 170,900 at Audi. A bevy of SUVs, including the new GLC and GLE and the GLA, have put the Mercedes brand on course to outsell Audi for the first time since 2010, said Tim Urquhart, a London-based analyst for IHS Automotive. The Chinese market has helped make the difference for Mercedes, which is locked in a three-way battle with BMW AG and Audi for No. 1 in the world’s luxury-car market. Mercedes sales in China soared 31 percent this year through September, thanks in large part to new models such as the small SUVs. That compares with a 2 percent gain for BMW and nearly level sales for Audi, which saw only a 0.3 percent increase in China. A stock market rout and cooling economic growth have combined to leave customers there wary of buying new cars. 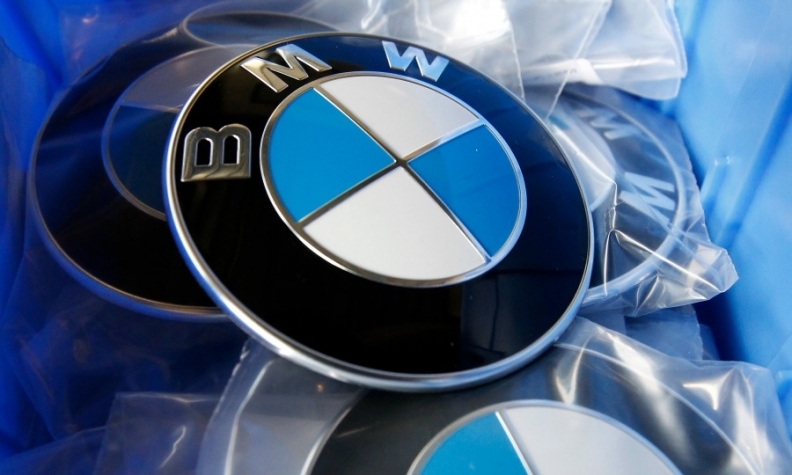 BMW’s sales climbed 12 percent in September in China, while Audi’s sales rose 2.9 percent. BMW, the leader so far this year in the luxury-car market, was the last of the three companies to report monthly sales. During the first three quarters, BMW’s global deliveries rose 5.8 percent to 1.4 million cars, followed by Mercedes with a 15 percent gain to 1.38 million vehicles and Audi with a 3.8 percent gain to 1.35 million. Audi’s rise was its strongest since the beginning of the year, despite its parent company Volkswagen AG having been embroiled in a diesel emissions-rigging scandal since Sept. 18.